April, 2015 | H&R Group K.K. Also referred to as the Way of Tea, the Japanese tea ceremony elevates the preparation and presentation of ‘macha’, or powdered green tea, to a ceremonial activity of great cultural significance. In the tea ceremony, or chanoyu, sadō or chadō as it is called in Japanese, matcha is skillfully and elegantly prepared for guests by an expert host. Every hand movement the host makes is purposeful and graceful and is a precise and disciplined expression honed through years of training. Becoming a master of this art requires not only mastering the ceremony itself, but also everything that surrounds it. Proficiency in other traditional art forms like calligraphy and flower arranging, as well as knowledge of relevant architecture and gardening allow a masterful host to select and decorate an appropriate location that will transport their guest outside of their reality, and into the reality of the ceremony. Napkin- A special small rectangular white cloth used to wipe the tea bowl. Tea bowl- Vary in size and style, and are usually thrown by hand. Tea whisk- Used to mix the tea and water, and are also generally carved from a single piece of bamboo. Many of these items can become quite old and revered, and whole museums are filled with the most notable of them. In Nagoya, The Tokugawa Art Museum, and in Tokyo, The Sumitomo Art Musuem have extensive collections of tea utensils that embody the Japanese wabi-sabi esthetic. Though the essence of the tea ceremony is meant to be one of beautiful simplicity, rather like the matcha itself, the reality is rather at odds with this concept as the tea ceremony itself is intricate and detailed experience. Taking part in this centuries old tradition is one of the highlights of any extended stay in Japan. There are many places across Nagoya at which you can experience the beauty of the Japanese tea ceremony. Currently some of these ‘chashitsu’ (or tea houses) are running a tea drive, and by visiting at least three of them and collecting stamps on these special days you can be entered into a prize draw (Japanese website). Participating tea houses are marked below with an asterisk. Should you not be able to visit on these days, some are open all year round. Contact individual establishments for further information. Note: April 29 and June 7 is the Spring Citizen Tea Party for 700 JPY. Call 052-733-8340 for details. Access: Takaoka station on the Hisaya odori line is 12 minutes away. Note: Spring tea ceremony May 16-June 14 500JPY plus 200JPY entry fee. Access: It’s a 10 minute walk to Kakuozan on the Higashiyama line. Access: 600m walk from Sakura station on the Meitetsu line. Note: May 17-June 21 for Monthly Kettle meeting, 500JPY with a reservation. Note: Tea ceremonies are held sporadically throught the year. Volunteering has a lot of upsides and few downsides to it. It is a great way to meet new people when moving to a new town, or just finally getting out and about after living in it for some time, and the people you meet are generally pretty cool. If you are looking for an opportunity to get out and volunteer your time for a good cause, there are options here in Nagoya. The Nagoya Walkathon and International Charity Festival is a foreign organized charity event started in 1991 in Nagoya. It is held annually on a Sunday in May this event is sponsored by the American Chamber of Commerce in Japan (ACCJ) and Nagoya International School (NIS). Its main purpose is to join the international community with Japanese friends and companies in raising money for local orphanages and charities. Santa and Friends Nagoya has been helping orphans in Nagoya for 9 years. Focusing on 5 local Nagoya orphanages, the concept of SFN was first to celebrate Christmas, spread a little holiday cheer, and bring a few smiles to many children’s and volunteer’s faces. Every year over 100 volunteers, and sponsors help bring together 250+ orphans from 5 different orphanages for an amazing full day Christmas celebration extravaganza. Christmas games, magicians, musicians, story-telling, interactive activities, crafts and cookie decorating are just a few of the activities offered to the children. While the Christmas event is the key event, from 2011 they became more involved and interactive with the orphanages to develop closer relationships with the children by organizing, assisting with, and carrying out a number of activities with the kids at each orphanage each and every month. Activities include: Summer barbecues, beach trips, English classes, sporting events, dancing, yoga, arts and crafts, camping, and ski trips are regular events, as are events and support requested by the individual orphanages themselves. They do what needs to be done, and they do it in a way that is fun and rewarding for everyone involved. HOPE International Development Agency’s vision is to extend compassion to the neglected poor. HOPE-JP is part of the HOPE network, which raises compassion for families in the developing world across 9 different countries, including Canada. By partnering with people around the world, HOPE works towards eradicating extreme poverty through sustainable development and helping families achieve self-reliance. Since its founding in 2001, HOPE-JP has been working with residents of Japan to assist the families in developing countries. In order to realize this, we also focus on furthering understanding within Japan about the effectiveness of sustainable development in addressing needs in the developing world. If you are new to Nagoya you may find yourself wanting to get out and meet people. One of the hardest parts about living in a foreign country is dealing with isolation, and fi you are not careful you may end up watching season 3 of The Simpsons for the fifth time, wondering how you got there and whatever made you think you could live in Japan in the first place. The easiest way to beat those blues is to get involved. Whether you are aware of it or not, there is a vibrant foreign community out there with many opportunities to share hobbies or perform community service. One of my favorites is the Chubu International Hiking Club, or CHIC. With over 300 members and regular events, this is probably the biggest and most active group in Nagoya, and as I said, one of my personal favorites. Events are nearly weekly, and include hikes at all skill levels, and many social events throughout the year. Recently, there has even been a lot of “women”s events,” where just the ladies get together and have fun. If you are interested in the outdoors and have weekends off this is the group for you. I try to make as many events as possible, but I work pretty much everyday so I do not get out as much as I would like to. One of my favorite hikes in Nagoya is Tsumago. If you would like to participate in some community service projects around Nagoya, I have two suggestions! This is a great group of people whose membership leans more towards the Japanese side of the community. Besides the regular volunteer opportunities, they also host regular social events together. Well worth a look. The Chubu Walkathon has been a tradition in the Nagoya Community for over 20 years, and last year’s event was the biggest and best so far! Last year, the Walkathon raised over 8 million yen to orphanages and local charities. The main purpose is for the international community to join with Japanese friends and companies in raising money for local orphanages and charities. The Walkathon also promotes fitness through walking and is an all-day party to which all are invited. If you are interested in participating in this event, whether as a volunteer or simply on the day of the event ( annually on a Sunday in May ) please become a fan on facebook or sign up to the email list on the website. If social and charitable is not your thing, or it is but you need more more more (this would be me), you may consider becoming a part of the business community in Nagoya. The Chubu Chapter has over 175 members from many different industries and activities. You do not have to be an American, and most of the membership here in Nagoya is not. I am involved in this group as the Chair of the Independent Business Committee, and my Vice-Chair is a Canadian and a hell of a guy. You also do not need to be involved in a “traditional” business activity. Many members are running English Schools, or simply teaching but are interested in finding a job in Japan or starting their own business here. The mission of the ACCJ is to further develop commerce between the United States of America and Japan, promote the interests of U.S. companies and members, and improve the international business environment in Japan. This group hosts many events ranging from educational to social, and boasts some of the best traditions in the foreign community; including the Walkathon, Champagne Ball, Meximas, and “Boozing on a Building,” or the annual beer garden event. If you are interested in getting involved in this group, the easiest way is to show up an event. Membership is a bit expensive, but worth it if you are motivated and willing to SEEK value from it, but you do not generally have to be a member to attend events in Nagoya. Through periodic functions and events, the TJCS aims to create a greater sense of community among Canadians and to help foster increased relations between Canadians and Japanese, as well as other foreign nationals living in the Tokai region. This group tends to be more social, but has a business aspect to it as well. They sponsor some great Nagoya traditions of their own, including an annual ski trip, camping trip, The Champagne Ball, and a great BBQ. For information about this group, please see the site. Seeing a sumo match is an important check mark completing any extended visit to Japan. Sumo is the Japanese sport in which a ‘rikishi,’ or sumo wrestler attempts to force another wrestler either out of the ‘dohyō,’ or ring, or to force them to touch the ground with a part of their body other than the soles of their feet. The sport has a history spanning centuries and many traditions and ritual elements. The tournament itself is a round robin where each fighter of the top two divisions will compete once a day, with the lower ranked fighters competing on just seven of the days. These ‘honbasho’ (literally main, or real tournament) are held just six times a year, and are the only times that a rikishi can climb or fall in their rankings. It is thus imperative that they attain ‘kachikoshi’ – winning a majority of their bouts – to at least maintain their current status. The lower ranked wrestlers’ fights begin at a little after the venue doors open at around 8:15, but the crowds tend not to arrive until about 15:30 before the ‘dohyō-iri’ ritual, the entering of the top-ranking ‘makunouchi’ wrestlers to the ring. Sumo has its roots in Shinto practices many centuries old. This is most obviously reflected in the fact that the referee, or ‘gyoji’, is dressed in the fashion of a Heian Period (AD 794 – 1185) Shinto priest, and that above the ring is a canopy in the style of a shrine roof made of the same material and built using the same techniques as that of the Grand Shrine in Ise. Another way in which we can see the Shinto religion in sumo is in the prefight rituals. Prior to the bouts of those wrestlers ranked in the top division of fighters, these ‘makunouchi’ will enter the dohyō together dressed in ‘mawashi’ loincloths, extravagantly decorated and donated by wealthy patrons or company sponsors. Following this the ‘Yokozuna’ (the highest ranked wrestler, denoted by the 20kg braided hemp rope wrapped around his waist from which hang white zigzag shaped papers like those at Shinto shrines) will enter the ring. This fighter claps his hands vigorously to summon the spirits and stamps heavily on the ground to ‘stamp on’ any evil spirits. This ritual shows the historically shaman-esque status that the sumo wrestler holds, and is perhaps the most internationally famous element of sumo. It is a moment not to be missed. Before two wrestlers face each other they will scatter handfuls of salt around the ring as purification, another nod to the Shinto background. Respect plays a huge part in the competition of the rikishi, and the greeting ceremony is of the utmost importance. The wrestlers greet each other crouched, holding eye contact. They rub their hands and clap to summon the gods once more as to not enter combat alone. They extend their arms , palms up and then down to show that they are unarmed, before placing hands on their knees. As well as showing respect, this is also a moment to intimidate and unsettle the opponent and often, with this ritual seemingly completed, a wrestler may return to his feet and begin once again in order to psyche out his opponent. Today this is limited to a maximum of four minutes, but in the past it could have gone on for hours. After the greeting ceremony is completed, both wrestlers touch their fists on the ground in readiness and, as the referee yells “Hakkeyoi”, the fight begins. As most fights last for little more than a few seconds, and rarely more than a minute, the ‘Tachiai’, the moment of first impact, is perhaps the most important moment of a fight, with 70% of fights decided in this instant. There are 82 official techniques for a wrestler to win a fight, all of which culminate with their opponent either touching the ground with a body part other than the soles of the feet, or stepping out of the dohyō. After the battle the loser bows acceptance and leaves the ring. The winner crouches again and the referee announces the victory by calling ‘winner east’ or ‘winner west’, depending on the geographic location of the rikishi’s stable, or team. The winner shows his respect to the loser by making a closing arm movement, though no emotion is to be shown in any event: victory and defeat are to be taken with equal dispassion. He is then given kensho envelopes filled with prize money, donated by patrons and sponsors. In sumo the referee’s word is final, and even if there was cause to appeal a decision, a fighter would not be permitted to do so due to the respect he is duty-bound to show. However in each competition there is a panel of judges, former rikishi, who can overrule a referee’s decision, and though there is no video replay, they may check the footprints in the ring. This is a relatively new occurrence in sumo, and the first referee to have his decision overturned was so pained by his perceived loss of face that he committed suicide. After all of the fighting is done and the victories are totted up, a winner is declared in an elaborate presentation ceremony at which a band plays the Japanese national anthem and Handel’s Hail, the Conquering Hero. The winner is presented with an immense trophy, the Emperor’s cup, as well as two tonnes of rice; a tonne of chestnuts, grapes and pears; four tonnes of onions; and a year’s supply of sake amongst other prizes that can include cash and cars. As in his fight, the winner accepts all this with stoicism, and returns to his stable where he celebrates by drinking sake from a large bowl and holding up large sea bream fish for waiting photographers. “The July Tournament,” or the Nagoya Grand Sumo Tournament takes place every July at the Aichi Prefectural Gymnasium near Nagoya Castle. Nagoya hosts one of six annual Grand Sumo Tournaments. Grand Tournaments are held every two months, and each last for 15 days. Fukuoka, Osaka, and Nagoya each host one of the Grand Tournaments, while three more are held in Tokyo. Advanced ticket purchases can be made by telephone, online, at the venue (Aichi Prefectural Gymnasium 10:00 AM – 5:00 PM / closed Saturdays, Sundays & holidays), or through a variety of other ticket agents outlined on the Nihon Sumo Kyokai Official Grand Sumo Home Page. Tickets go on sale from May 21. Food shopping in Japan has a reputation for being a touch on the expensive side, and as you wander the aisles of your local supermarket looking at your basic groceries – cheese, fruit, freshly baked bread – it is hard to disagree. However, if you look at local produce you will find that the weekly shop doesn’t have to be such a pain in the wallet. 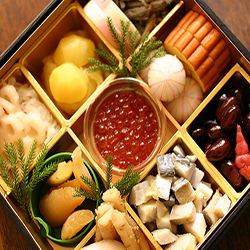 The only problem may be that you are unused to preparing and cooking with Japanese foods. If this is the case, a fun and interesting – not to mention potentially money saving – cultural experience is to take lessons in Japanese cooking. Let’s start with the big boys, and they don’t come much bigger than ABC Cooking studios who have been going since 1987 and have 124 studios nationwide. There is a huge choice of menus on offer, from washoku (traditional Japanese dishes), bread, cakes and even Chinese, western and world foods. And it’s not just you who can learn to cook at ABC Cooking Studios, but your family too, with courses offered for children from four years old up to 3rd grade elementary. A percentage of profits from one day courses go to the UNHCR (Office of the United Nations High Commissioner for Refugees) to help promote better eating for refugees around the world. Please note that it is only the Tokyo Midtown location that offers lessons in English. Another well-known operation is Buddha Bellies. Having appeared in international news and media, Buddha Bellies are lessons with a touch of celebrity pizazz. Instructor Ayuko was trained at one of the top Kaiseki (Japanese fine dining) schools so she obviously knows her onions (and other vegetables too, no doubt). Being a JSIA (Japan Sushi Instructor Association) certified instructor, the sushi and decorative sushi classes are most popular, but there are also udon, washoku and bento classes for making those all important lunch boxes. For those of you who like a tipple Ayuko, who is also a professional sake sommelier registered with SSI (Sake Sommeliers International), offers a sake collection workshop with more than 100 bottles available for tasting. If you’re after something a bit more homely, then what’s better then learning to cook directly in someone’s home? Mari is a soon-to-be published cookbook author, and lives a mere five minutes from the world famous Tsukiji fish market – 15-20 minutes from Shinjuku, Ginza and Shibuya stations – and she invites you into her life. Having lived and worked in the US her English is fluent and she is genuinely warm and open to students from all cultures. Class sizes are intimate (limited to 6) and there are various courses to choose from including vegetarian. Mari also claims to be the only cooking instructor to offer a course on making authentic Japanese sweets. A quick look on her website and the Tokyo community’s various online message boards shows her to be one of the most popular cookery classes for international visitors. Another cookery school in the area of the Tsukiji fish market is Tsukiji Cooking. This school offers various classes for both tourists looking for something different as well as those wanting to take their experience back to their Japanese home. Although there are also lessons for cooking okonomiyaki and gyoza dumplings, the courses focus predominantly on washoku; particularly sushi, which comes as no surprise when you consider the freshness of the fish coming directly from the nearby market. Speaking of the market, should your group wish to do so, Tsukiji Cooking can take you on a tour prior to your lesson. Vegetarian classes are available; as are lessons on preparing low sugar meals and home visit classes. Average price: Up to 10,800 JPY, including market tour. Delicious Tokyo is another popular cookery school set in a private home. Instructor Hiroko Kobayashi has descended from an illustrious Edo period family and has inherited a strong interest in Japanese culture including tea ceremony and, most importantly, Japanese cooking. She has taught cooking and Japanese manners to over 1,000 people a year, including in Thailand where she worked with celebrity chef Phol Tantasathien to develop Thailand’s first Japanese home-cooking book. Her classes focus on simple, but delicious home cooking, including tempura, donburi (rice bowls) and tonkatsu (breaded, deep fried pork cutlet), as well as perfect presentation. Kobayashi accepts groups of up to six, and even does one-on-one classes. Please note that the above is for information purposes only, and is not to be considered as endorsement. Japan is a nation that thrives on its sporting endeavors, and while it may be baseball that grabs most of the headlines, soccer is not far behind as the second biggest team sport in popularity. In March the new J League season kicked off to much fanfare, and the citizens of the capital will be crossing their fingers that the much supported team F.C. Tokyo will be marching on to J1 League glory for the first time in their history come the season’s end. F.C. Tokyo come from humble beginnings and were founded as Tokyo Gas Football Club in 1935 spending most of their history hovering around the lower leagues. As recently as 1991 they were promoted to the 2nd division of Japanese Soccer. Despite their growing success, at this time they were overshadowed by their more illustrious neighbors Tokyo Verdy (previously Yomiuri F.C. ), a team bankrolled by the same media organisation as the baseball behemoth Yomiuri Giants, who became the first Asian team to win the continental treble of the league, cup and Asian Club Championship in 1987. However, in spite of a cooling of support for the J League as a whole, while Verdy began to fade, Tokyo Gas F.C. went from strength to strength. 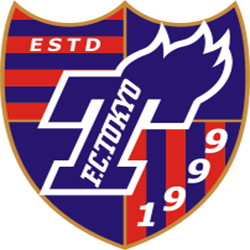 They finished second in the JFL and defeated three J League teams on their way to the Emperor’s Cup quarterfinal in 1997, before winning the JFL the following year. Unfortunately, despite their successes on the field Tokyo Gas F.C. did not meet the requisite qualifications to join the J1 League, the top tier of Japanese soccer. But that would soon come. Following the previous season’s disappointment the Tokyo Gas Company joined forces with other local companies with the aim of meeting the J1 League requirements for promotion. That season, with those requirements met, they finished second in the J2 League, qualifying for automatic promotion to the Promised Land of the J1 League. It was widely assumed that the newly promoted side would struggle to compete at the higher level, but they confounded the non-believers, winning the first four games of the season and finishing in seventh place. This success, combined with the decline of Tokyo Verdy, saw attendances rise and the team quickly became the best-supported in the capital. The beginning of the century saw the team managed by Hiromi Hara who instilled an attacking ethos in F.C. Tokyo, a style of play that they would soon become famous for. This tactical style was exemplified by their star forward, the Brazilian Amaral, the team’s talisman from 1992 to 2003, perhaps the greatest player in the team’s history upon whom the biographical movie ‘The King of Tokyo o Filme’ was based. Though Amaral left the club at the end of the 2003 season when they finished in fourth place, their highest finish to date, his legacy lived on. F.C. Tokyo continued their attacking football under Hara bringing them their first top level success in the following season, the J. League Cup. This victory cemented them as a true contender, buoying their already high attendances. The following seasons however resulted in average league positions, rarely bothering the upper echelons of the table. But in 2009, with a young Yuto Nagatomo in their team (whose name would go on to adorn thousands of replica shirts in Japan in the colors of Italian giants Inter Milan), they repeated their 2004 success, again winning the J. League Cup. The next season saw them reach a then unprecedented semi-final in the Emperor’s cup, but that glory was overshadowed by their league finish of 16th place, resulting in relegation back to the J2 League. With Nagatomo leaving for Italy (before which he made a farewell speech in front of 25,000 F.C. Tokyo fans) things looked bleak for the capital’s number one team. However promotion proved to be little more than a formality as they topped the 2011 J2 league, whilst at the same time winning the Emperor’s Cup for the only time in their history . This was a staggering achievement for a team in the second tier, meaning they would not only face the top teams in Japan the following year, but also the biggest names in Asia in the Asian Federation Club Champions League. Since then F.C. Tokyo have remained in Japan’s top division, and though they have reached the semi-finals of both cup competitions, they are still looking for their first J1 League success. Their opening game of the season saw them tie impressively with last year’s champions Gamba Osaka 2-2, and at the time of going to print remain undefeated and sit in second place in the league. They still play to crowds of over 25,000 (which when compares pretty favourably to the 39,000 of footballing giants AC Milan in soccer-mad Italy), all of whom will be preying that this will be their year. They are coached by Italian Massimo Ficcadenti, the first Italian manager of a J. League club who has brought with him his compatriot Michele Canini from Atalanta to help cement a back line that kept a club record of 14 consecutive clean sheets last season. They play their home games at the 50,000 seater Tokyo Stadium, a ground they share with Tokyo Verdy, and perhaps this is the year they finally make it to the top. So why not dress in red and blue and get along there to support your local team and shout the team slogan “Bello e Aggressivo!” Go F.C. Tokyo, beautiful and aggressive! Did you know there are at least 5 ice hockey teams in and around Nagoya? From children’s to adult teams, there is no reason to go without just because you live in Japan! You can find the list of rinks and the team affiliations below. Used for public skating, figure skating, tournaments, practices but no team affiliation. Each team has a different degree of seriousness, ranging from playing for fun to focusing on developing skills that will take you to AAA college level play. Depending on the amount of practice time you want your child to have and how much of a time commitment you would like to make as a family. The teams go to several tournaments each year to different areas of Japan. There are several English speaking players and English speaking parents of players on all teams and a Canadian assistant coach on one team. Many of the children playing hockey in Japan have lived overseas and are quite knowledgeable about the game. There are more than 20 teams playing in or around Aichi. There are generally two levels. A very high level and there is a tryout to play on one of these teams. B is similar to an adult beer league; much less serious, but still above beginner level. As for beginner level adult hockey, there are some groups that meet on a casual drop in basis as well. Once again, there are many English speakers on all of the adult teams. There must be plenty of Canadian and American kids and adults living in Nagoya that have no idea the sport exists, I hope we can change that! Please note I do not have a list of all 5 teams. The above post was submitted by Rob, and I am not 100 certain he is still even in Nagoya, but I am sure you can play hockey here and will post any teams that are submitted or I happen to find. Have fun! The Ice Dragons are located in the heart of Nagoya, Japan and their purpose is to make our existence known in the modest ice hockey world of Nagoya. Come join us! “Osu Club (Osu Ice Hockey Club)” is organized and run by volunteers for the purpose of mutual friendship and exchange through ice hockey. Visitors can also participate, so please invite your friends and acquaintances to join us. All are welcome. The Chunichi Wings are the premier ice hockey team in central Japan. Founded in 1969, they play year round out of the Nagoya Sports Center. Chunichi Club offers ice hockey lessons for both boys and girls, from novice aged children to old timer players.